This roof was covered in black algae and the home owner had no idea what to do. His roof was only 6 years old and still under warranty so he called the manufacturer elk shingles and explained the problem. They came out and tested the shingles . It was a test for algae and came back severe. So the manufacturer recommended us to take care of the job . This was a low pressure roof cleaning and the results were great, Everyone was happy . 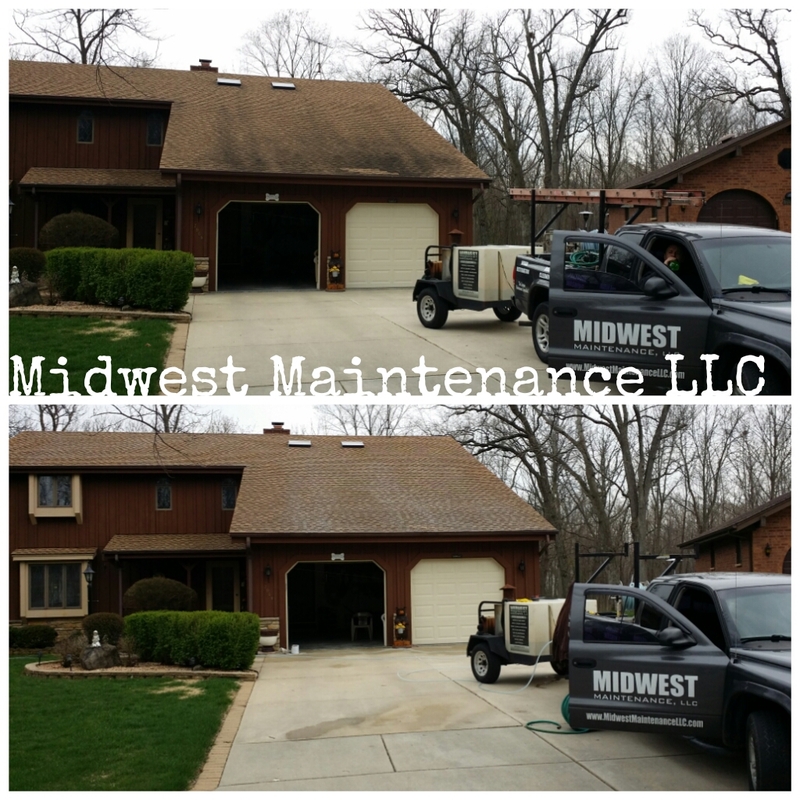 If you have black roof stains, moss or any lichen give us a call for a free estimate. Next Next post: Graffiti Removal , Milwaukee WI.